The American Red Squirrel is adorable, a lively little 'chittering" critter! The Red Squirrel is also known as the Chickaree or the Hudson's Bay Squirrel. The name Chickaree came from its noisy chattering. And like most squirrels, it is very fond of repeating its cries frequently. This is a graceful lively little animal. In its natural environment the American Red Squirrel has a tendency to be a bit fearless of humans and often tends to be heedless of human presence. Background: American Red squirrels are found mostly in Alaska and Canada, the Northeast of the US, and also reach down into the Rocky Mountains and the Appalachian Mountains south of Georgia. They are the most numerous species of the genus Sciurus around New York and the Eastern states. Regular little talkers, they have a routine call they repeat every minute or so. They also have a chattering alarm, that when sounded will be prolonged for five or six seconds and can be heard up to a quarter of a mile away. Their homes are in tree cavities or in water-proof leaf nests high up in the trees, sometimes as high as 60 feet. They also dig burrows in the ground, but these are for food storage. Unlike their larger cousin the Gray Squirrel, which can subsist on a rather small quantity of buds and nuts through the winter months, the American Red Squirrel is extremely active in the snowy seasons and requires large amounts of seeds and nuts. They have a habit of hoarding large quantities of food in burrows, neighboring trees, and in their nests. Description: American Red squirrels are covered with short hair and appear mostly reddish, having brown, black, and yellow specks throughout, with a white underbelly. Interesting Facts: - American Red Squirrels are hunted in Canada for their fur seasonally. contain more than 150 pinecones! afternoon - and sleep at night. - They are capable of both swimming and diving. Hand Raised/tamed and well socialized. Red,Fox,Grey and Flying Squirrels available for sales. Each baby(ies) comes with their supplies. We specialize in hand-raised, healthy, tamed babies. State and USDA licensed facility/breeder. We sell squirrels online, delivered to any major airport near you. Contact us for prices , availability , shipping or pickup. We have adult squirrels available also. Shipping or delivery to any major airport near you.Same day delivery. State and USDA licensed breeder. Contact us for prices , availability , shpping or pickup. Interested in red or gray baby squirrel. Do you still have any babies for sale? Each of our hand-fed, hand-tamed babies come with a “New Baby Care Kit” which includes a nursery, baby care sheets, bonding pouch, natural cotton, a start up supply of squirrel food, Rep-Cal calcium, treats, and hand-feeding supplies. A southern flying squirrel is quite small and fragile so has to be handled with lots of care. The adults we ship out are usually 9 to 10 “long including the tail, and weigh between 4- 6oz. Its large eyes, loving nature, and gliding ability make it a popular pocket pet. Before adopting a squirrel, keep in mind that you’ll need a cage at least 16" wide x16"deep x 30" high. Obviously a larger cage would be recommended for 2 or more squirrels. Bar spacing should be no more than 1/2" wide. Provide plenty of non-toxic branches for them to climb on. A hanging pouch is a great sleeping area. Provide natural cotton bedding for nesting material. Line the bottom of the cage with newspaper. Squirrels should be provided at least two food dishes – One dish should be kept full with a quality squirrel diet (including in the shell nuts) and a separate dish for fresh fruits and vegetables with a sprinkle of sprinkled bugs, berries and Calcium supplement. Addition of calcium cannot be stressed enough as this cannot be absorbed in sufficient amounts in a captive diet. 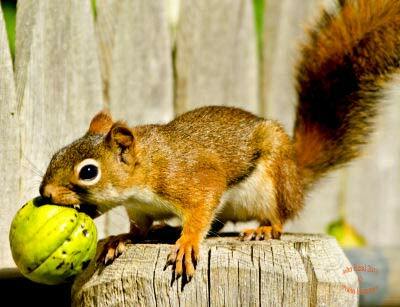 In the shell nuts are a favorite of the squirrel as well as keeping their teeth in check. I discourage soft shell nuts such as peanuts. Calcium must be added to their diet throughout their lifetime. They also enjoy meal worms, wax worms and other live treats but should be given in moderation. Provide an 8 oz. water bottle or water dish. It is important to acquire your baby squirrel at no more than 6 weeks of age and carry them in your shirt pocket or in a bonding pouch as much as possible for at least two to three additional weeks. It is very important to purchase your hand fed baby squirrel from a reputable dealer. Squirrels do not harbor fleas, lice, ticks, mites or any other parasites that might transmit disease, thus disease among squirrels is very rare. They do not require any vaccinations or scheduled veterinarian care. For any further inquiries, kindly send us an email via edwardsprisla@gmail.com and I will revert as soon as possible. My friend is also interested in getting a baby this weekend. Let me know if you still have any babies available. Thank you so much! Thanks so much for the positive feedback Ms Olivia, yes we do have babies available in our facility right now for adoption. Aside from the white rare flyers, we equally do have, Red,Fox,Grey, north, south and Flying Squirrels available for adoption. When you guys are ready to adopt, just send me an email via edwardsprisla@gmail.com and I will revert as soon as possible. Hi I am very interested in purchasing an eastern grey squirrel. My friend said you can ship the baby. I am located in New Jersey so you can reach me via (320) 334-8774 thanks so much! Thanks so much for the inquiry and interest in our babies Carlos Gonalez. Yes we do ship babies and strictly via Delta Cargo since they are the best when it comes to out of state pet deliveries in the United States and same day delivery guaranteed. Our staff has tried to reach you via the phone number you provided to no avail. S & S Exotics Inc.
Hi have you any flyers? How much are you selling your squirrels for? Hello Johny, I am selling the squirrels at $400USD and each baby comes alongside a “New Baby Care Kit” which includes a nursery, baby care sheets, bonding pouch, natural cotton, a start up supply of squirrel food, Rep-Cal calcium, treats, hand-feeding supplies, manual and free shipping to your home or facility. If you have any further inquiries then kindly send me an email via edwardsprisla@gmail.com or text or call me at (972) 638 - 9315. Thanks so much! Hello sir, I just wish to find out if you'll have any babies available during summer? I would appreciate a response at your earliest convenience. Hola, ¿tus ardillas todavía están disponibles? I am a 15 year old male in Virginia and I have been looking for a pet red Squirrel. I am very responsible and think a squirrel would be a great addition to my family.